"Let me explain the course of treatment if you choose radiation therapy," the unusually pleasant consultant tells me, and an old saying pops unbidden into my mind, because I'm pretty sure I'm going to get a similar, semi-scientific soft-sell for the alternative - which is surgery - when I see the next consultant in a few days' time. "If you are a hammer everything looks like a nail" it goes, and it seems to me this is a problem with the NHS. Everyone's a specialist so no one's looking at the big picture. In this case the big picture is me. So I take a keen interest in looking at it. I guess so should my GP and he is a capable guy, but he can't possibly keep abreast of the latest research into every treatment. So we're stuck with specialists who only see their small part of the picture, like art critics with the Mona Lisa's mouth. But by now I've got to thinking about this hammer and nail proverb. (Or is it a saw, adage, maxim, aphorism, precept or dictum? Why are there so many words for pithy sayings in English, I wonder, but that's a question for another day.) And the more I ponder, the more I realise this one makes no sense at all. "If you're a hammer everything looks like a nail." I mean why would it? If you're a bee everything doesn't look like a flower, does it? Exactly the opposite. You are better able than other animals to distinguish flowers from the rest of the landscape. That's what evolution does for you. If you're a lion everything doesn't look like an antelope, does it? Not unless you're a real dumpling of a lion. "Did you hear what daft Lemmy did yesterday?" 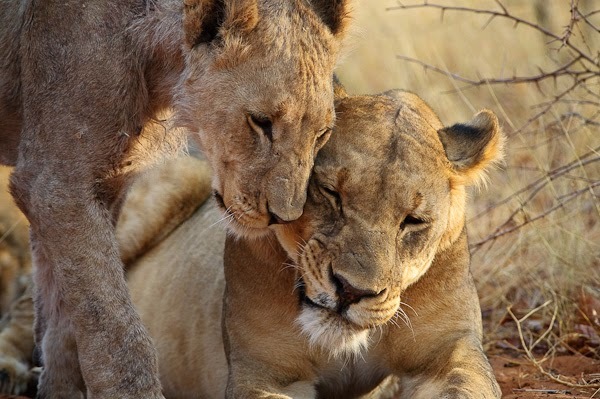 one of the lionesses says to her pal, as they laze in the savannah sunshine. "Only jumped a jeep and tried to rip its throat out. 'When you're a hammer everything looks like a nail,' he says to me afterwards." "What a putz," her pal replies, shaking her head. "Well I told him, I says, 'It's the females that do the hunting when you're a lion, son. The male's job is mating. Stick to your job.'" "What does he say to that then?" "Tells me again that if you're a hammer everything looks like a nail. Then wanders off to hump a tree." The two of them shake their heads sadly at male stupidity, and survey the vast sweep of the savannah, as the sun sets slowly in the western sky. And another thing. If everything looks like a nail to a hammer, where are its eyes located? In the natural world, if you live by attacking, your eyes are usually at the front, for better binocular vision and distance judgement. If you're a prey animal, they are more often on the side of your head, so you can spot attackers coming in from all angles. A hammer is clearly an attacker so its eyes should be on the face. But the first hammer that evolved them there would have got a nasty, squelchy shock, while those with eyes on the sides wouldn't be able to hit a nail straight. It's a quandary for evolution and no mistake. So I can only conclude that sight is not a hammer's main sense. I'm guessing that like sharks, they use their sense of smell and touch, as well as sight, to work out where the nails are and how fast they're moving. But then what happens to our pithy proverb? "If you're a hammer everything looks a bit fuzzy, but nails smell and feel like nails" doesn't work well. It will never make the 50 most important proverbs list, that's for sure. But it is a lot more logical. "So that's about all I can tell you," the consultant says, picking up her papers and tapping them sideways, with an air of finality, on her desk. "You should have all the information you need now. Is there anything you'd like to ask me before you go?" "There was just one bit I didn't quite grasp," I say. "Of course," she says pleasantly. "What was it?" "The part from 'Let me explain the course of treatment,'" I say, and the smile on her rather attractive face turns to stone.